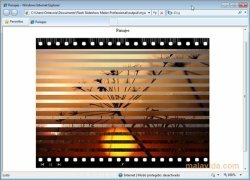 Flash Slideshow Maker is an ideal application to compile the best photographs of your vacations or family celebrations and be able to show them in an entertaining way whenever you want. With this program it will be very easy to be able to create our own Flash slideshows by simply using the guided assistant that it includes. In three simple steps, you will be able to have a dynamic photograph gallery that is ready to be used, for example, on a website or your blog. 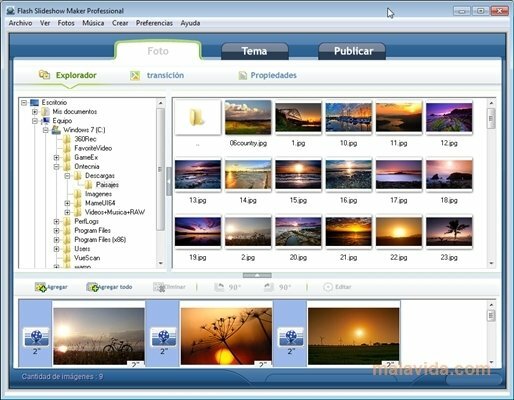 To do so, you only have to select the photographs that you want to include, choose a theme among those that are available in the application and publish the contents generates that is a web page with the slideshow embedded in SWF format. 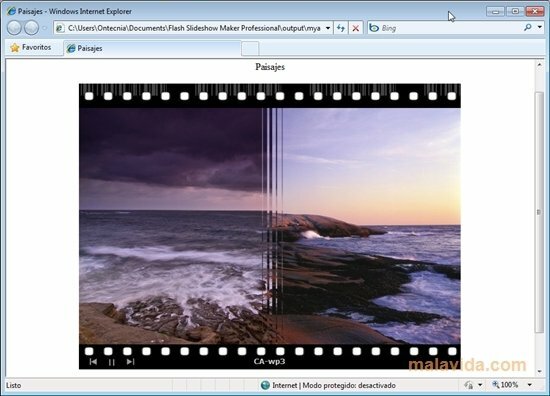 What's more, Flash Slideshow Maker also allows to generate that dynamic gallery as a CD or DVD to be able to seen on television or to upload it to SkyAlbum.com (by registering previously). Forget about boring the pants off of your friends with endless photographs, with Flash Slideshow Maker you will be able to create your own presentations with varied transitions and publish them on a website or take them with you on your pendrive so as to show your photographs in a different way wherever you go. 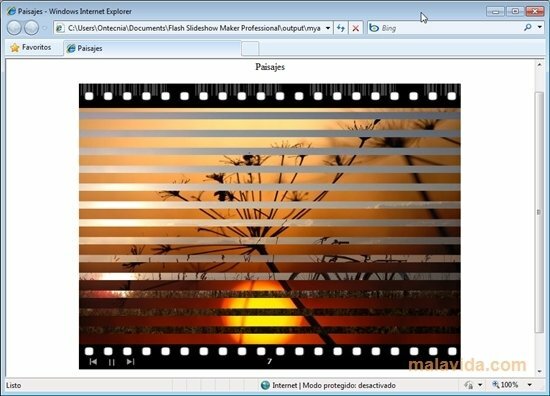 The trial version inserts a watermark in the presentations you create.